New recruits in the British Army will be asked about their sexual orientation in a bid to improve diversity. The Ministry of Defence (MoD) defended introducing the question about sexual preference, claiming it will help to make the organization more inclusive. The move was welcomed by gay rights campaign group Stonewall. “Service personnel are now encouraged to declare their sexual orientation,” an MoD spokesman said. “The MoD proudly encourages diversity at all levels,” he added. The information won’t be visible to officers and will be made anonymous to ensure no one can be identified by their sexual preference. The British military has been slow to recognize the rights of gay and lesbian recruits in the past, having banned them from service for most of its existence. January 12, 2015, marks the 15th anniversary of the ban’s lifting. The law was changed following a ruling by the European Court of Human Rights, which said that banning gay and lesbian personnel from service was illegal. Brigadier Pat Lawless, a senior ranking officer, resigned in protest to the lifting of the ban. 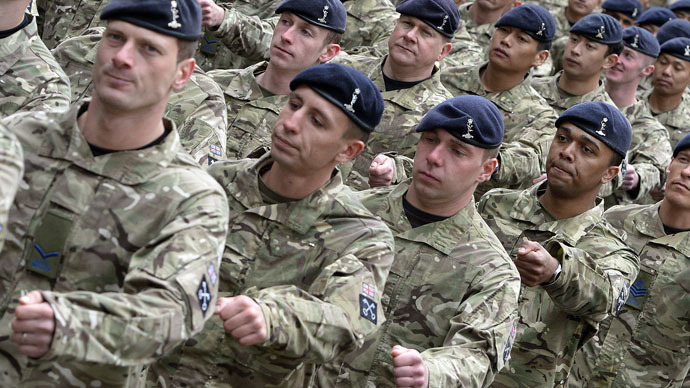 This latest decision by the MoD was welcomed by gay rights activists. James Wharton, 28, suffered abuse for being openly gay while serving as a Queen’s Guard. Stonewall, a gay and bisexual rights charity, also welcomed the move. The number of gay recruits in the armed forces is unknown, but 298 were kicked out the year before the ban was lifted. Even though the law has been changed, gay and lesbian personnel have struggled for equal treatment. Lance Bombardier Kerry Fletcher won £124,000 compensation in 2009, after suffering harassment that forced her to quit the Royal Artillery.